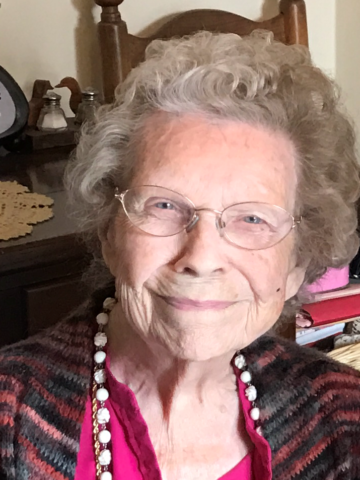 Louise W. Brooks, 100, of Goodlettsville passed away Tuesday, May 29, 2018 at her home. Born November 3, 1917 in Wilson County, she was the daughter of the late Henry and Frances (Harris) Ward. She was also preceded in death by her husband of 61 years, Oscar Brooks (Goodlettsville first City Manager), and her siblings, James Ward, Goodloe Ward and Nancy Allen. Mrs. Brooks graduated from Dupont High School in 1935 and later Peabody College. She worked as a school teacher at Dobson Chapel with the Nashville public schools; was a piano instructor working from her home as well as being the pianist at the Goodlettsville Southern Methodist Church. She also had worked at the Bank of Goodlettsville and worked in her husband’s clothing business, Brooks Men’s Wear of Goodlettsville. She is survived by three sons, Jim Brooks (Louise), David Brooks (Tracy) and Tommy Brooks; seven grandchildren, Robert, Jessica, Jacob, Elliott, Abby, Anna and Callee Brooks; and one great-granddaughter, Lauren. Visitation for Mrs. Brooks will be held Friday from 4 to 8 pm at Cole & Garrett Funeral Home and Saturday from 10 to 11 am. A Life Celebration Service will be held at the funeral home Saturday at 11 am followed by interment at Forest Lawn Memorial Gardens. In lieu of flowers, memorial contributions maybe made to the Goodlettsville Southern Methodist Church. Goodbye sweet Aunt Louise. You had a long and wonderful life and I was so happy to be a part of it. You served as my devoted “second mother” when I was a baby and toddler. Your life exemplified serenity, patience and giving to others. Your sons definitely showed you had taught them well! I will miss you. In addition to my previous comment, I should have commended you all, Jim, Tom and David, for the loving care you provided for Aunt Louise throughout her life. You were assisted I know by Tracy, Louise and a slew of cousins and grandchildren. What a wonderful family! You have my condolences, my thanks and my admiration.